How to reset Xfce session? When I start Xfce4, it always opens 2 windows of Evince, Emacs and one terminal emulator. I remember I used this configuration once a week ago, but now it starts every time after logging in. How can I make Xfce4 start cleanly with no applications? and Xfce should starts cleanly. 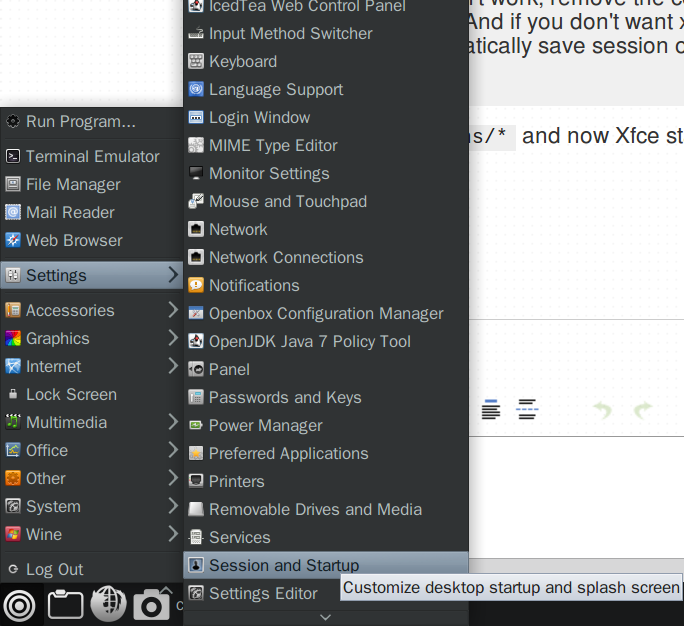 Using the GUI seems to work as it should, at least in my version of Xfce (4.10). Not the answer you're looking for? 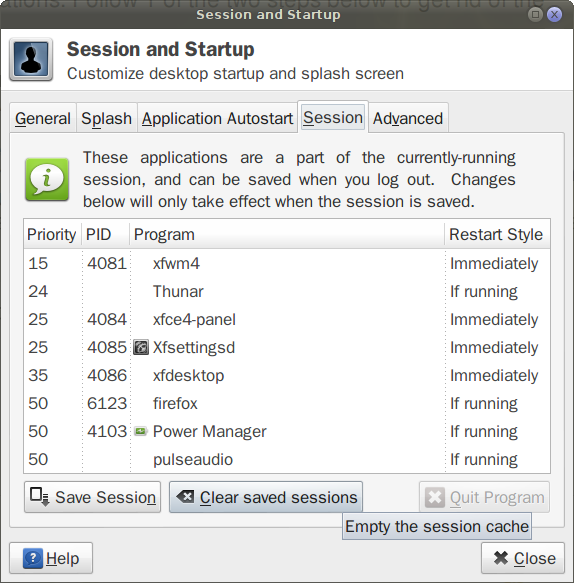 Browse other questions tagged xfce session or ask your own question. How to make startx use alternate xinitrc? Change Startx Default on Slackware?